Felix Odiwour aka Jalang’o has left Royal Media Services radio station Hot 96 for Mediamax owned Milele FM. The comedian will now co-host the morning show alongside his former Radio Maisha co-host, Alex Mwakideu. 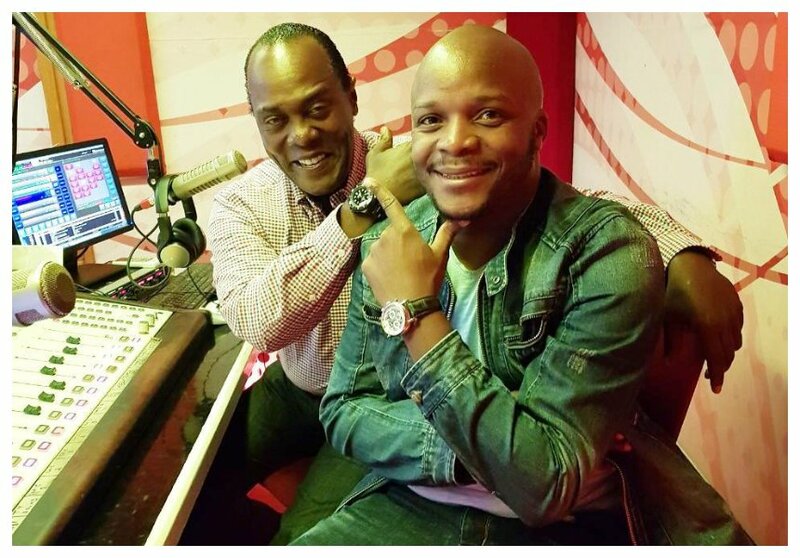 But before leaving, Jalas penned a heartfelt message to his now former co-host and Citizen TV’s news anchor, Jeff Koinange. “No single day did you ever look down on me even when you knew that our lives were far apart and so different but you held my hands and we created something beautiful,” he said, adding that he is proud of the “monster show” that they created. “Keep being the amazing guy you are..I hope you learn to dance kwangwaru soon enough…Friday Swahili interviews…Rooftop things.. and smoke the show up because it will always Go on! The show must go on… SMOOOOOOOOOOKING! See you at my graduation!” he continued. Jalas has been writing the goodbye messages all day long starting with that to his ex-immediate boss, Cynthia Mwangi. “Boss Lady I’d choose you to be my boss any day! I love you and you know I do! Sad we won’t be working together but all said and done, the show must go on!” he said.